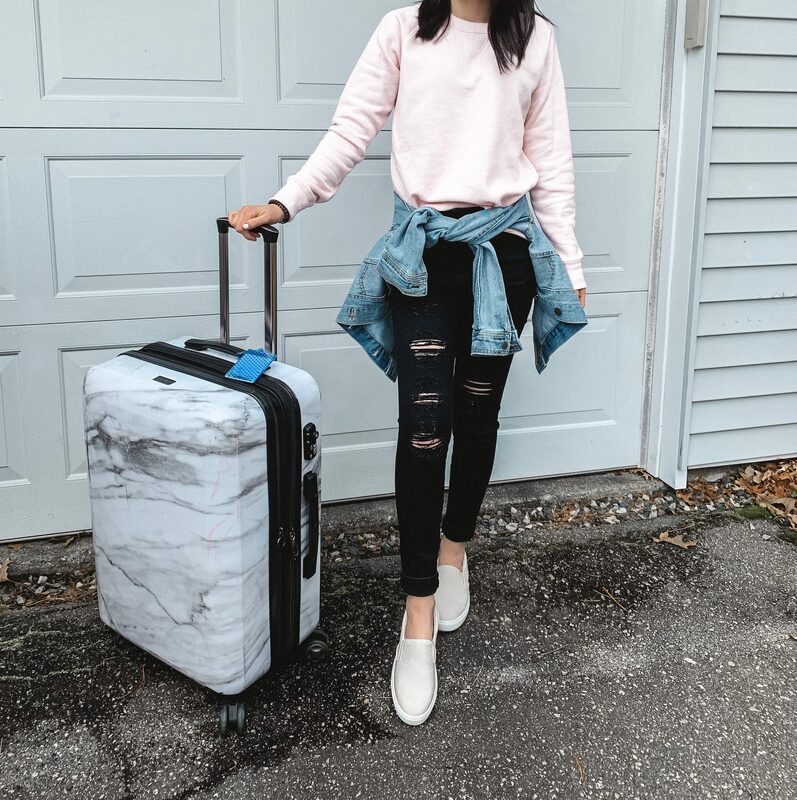 It’s no surprise that white button-down shirts are a great staple to have in your wardrobe but are you looking for new ways to style them in a more casual way? Or wondering how to style them in general? 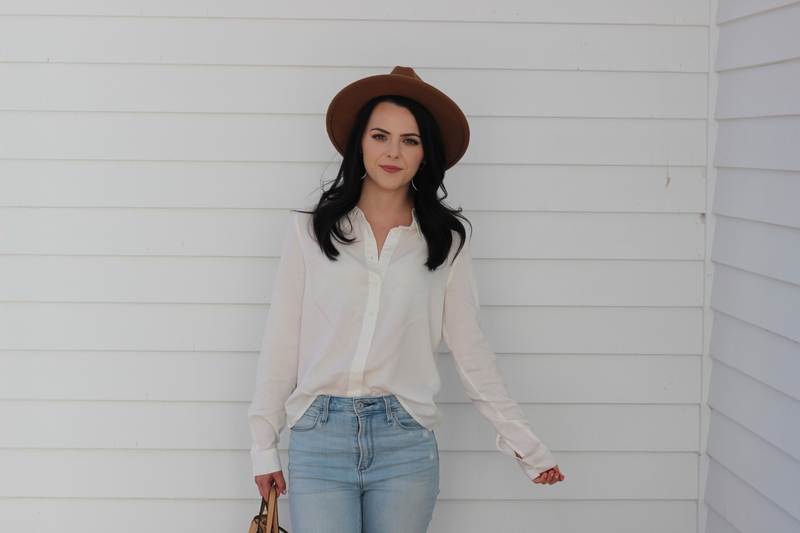 Continue reading to see how to style a white button-down shirt with jeans! First of all, what is more timeless than a crisp white shirt?! They are such a powerful yet versatile piece that will instantly elevate your look. If you have been afraid to wear one because you think it will look too structured or work-like, you guys would love the one I am wearing! I know this might sound a little weird but I pretty much had this outfit in mind before I even bought the shirt. 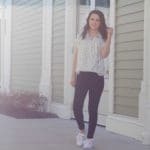 I knew I wanted to style the shirt in a practical yet impactful way while still fitting my casual style. The shirt I went with is slightly cropped and a more blousy fit. Unfortunately, it is sold out but I linked some similar ones for you guys! 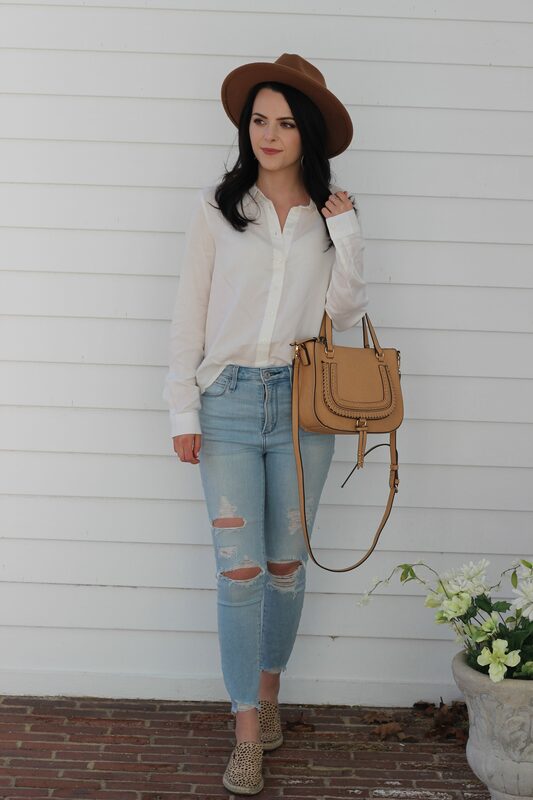 I paired it with light washed denim jeans that are distressed to create a more casual and laidback look and of course, I had to style it with my new favorite accessory, a hat! 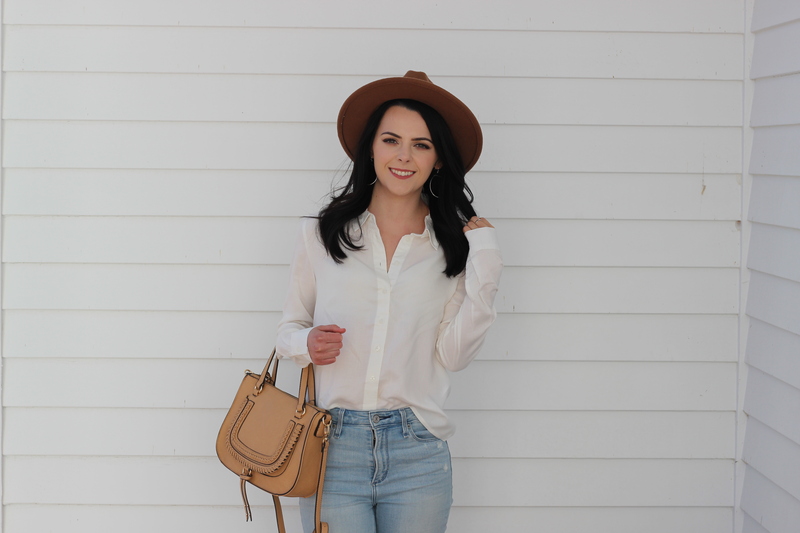 This is the type of item that is great to add into your wardrobe as we transition into spring and it is also light enough that it could carry you into summer with some denim shorts! 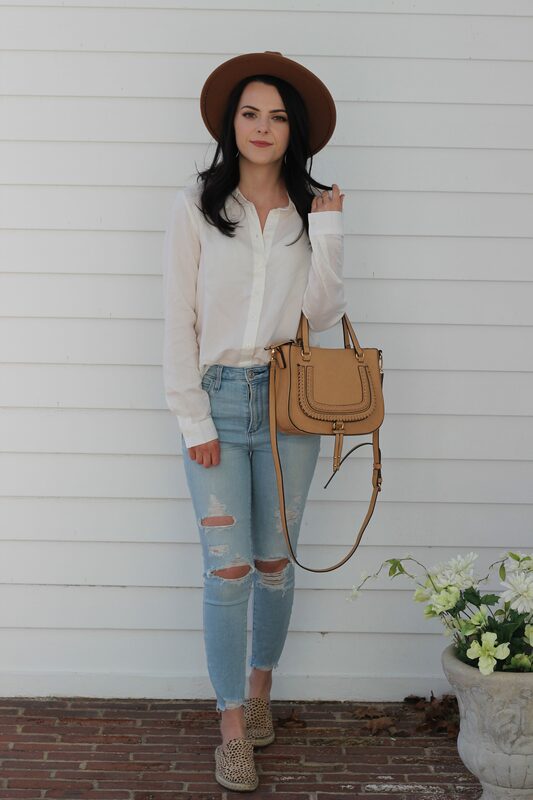 Another way you could style this more casually is by tieing it at the bottom! 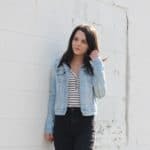 If you are petite and have struggled with finding a shirt that fits you, definitely try something that is a little more cropped so you won’t have all that extra fabric. You can also try getting shirts in a petite size (which I normally have to do) or by picking shirts that are more fitted. 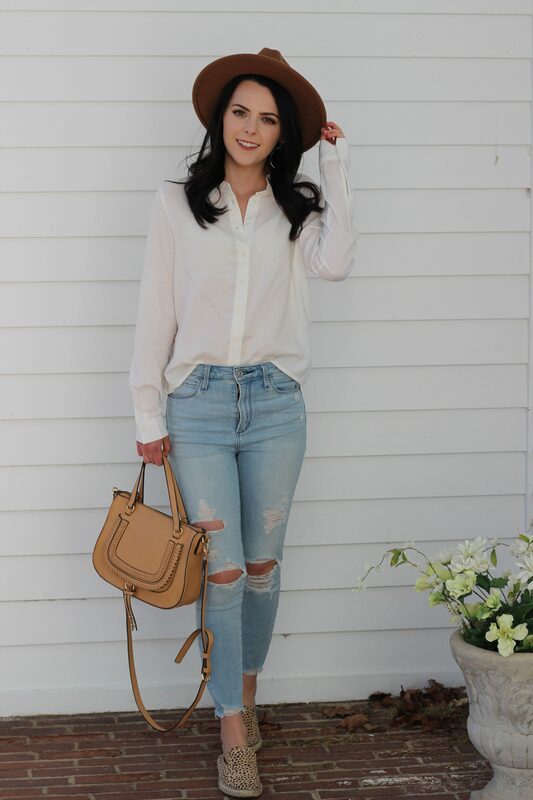 There are so many ways to style a white button-down so you will never run out of ways to style this staple item. They are great for casual days, workwear or even dress it up with black pants and heels for a very classic yet effortless look! 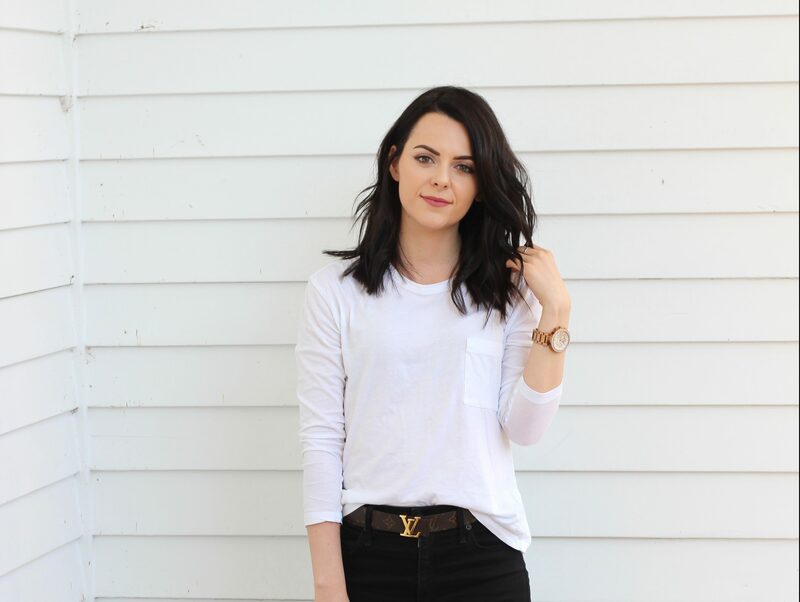 Do you own a white button-down? What is your favorite way to style it? Let me know! Thank you for reading! !